Do you buy things because you love them then let them sit on your desk unused. I'm guilty of this and I have a feeling I'm not the only one out there. Looking forward to the More Bright Ideas class at Studio Calico to jump start the creative juices and use up that neglected product. Join me and finding some Bright Ideas with Nicole! It’s easy to sit back and watch your supplies pile up. Finding the inspiration once you commit to using them is harder. 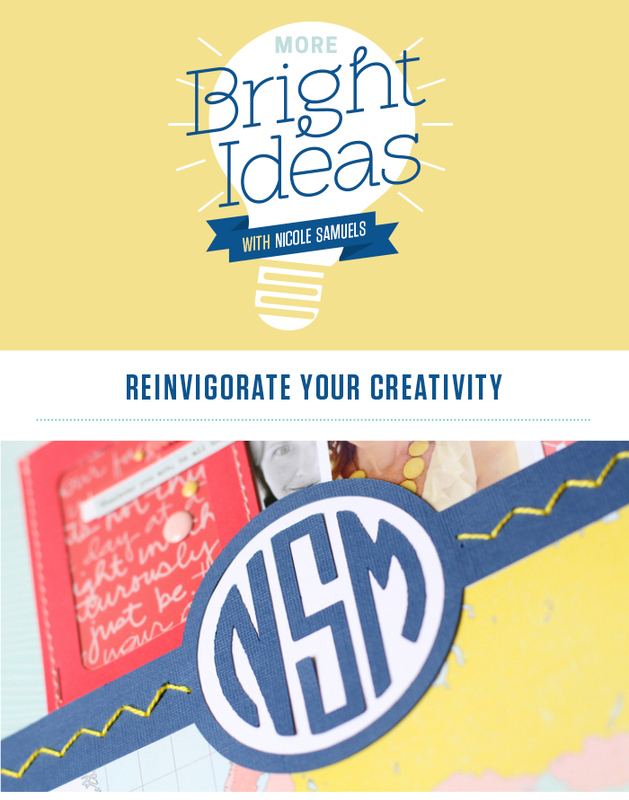 In “More Bright Ideas,” resident expert Nicole Samuels will guide you along a four week course designed to jump start your creativity and get the supplies off your desk and into your projects. Eliminate those piles in this virtual crafting retreat full of ideas, inspiration and motivation. In this workshop, Nicole will guide you through 8 creative challenges designed to make you look at paper and glue in a whole new light. The first challenge will be posted on August 5th, and new lessons will be posted each Tuesday and Thursday throughout the month. Registration for this workshop will close on July 31st at 11:59pm EST.